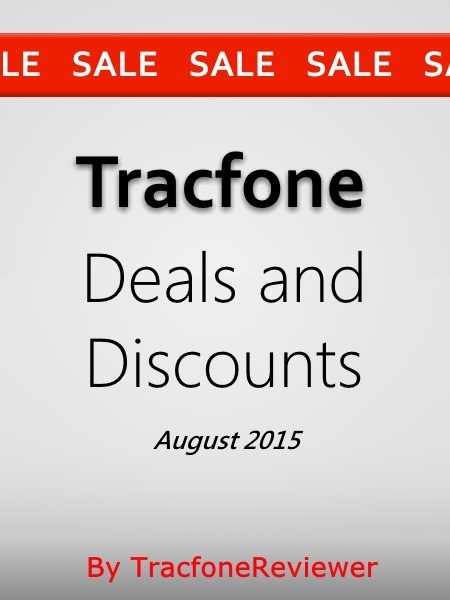 Below are a list of some of the best deals for Tracfone devices and minutes. These sales don't always last for long, so act quickly. 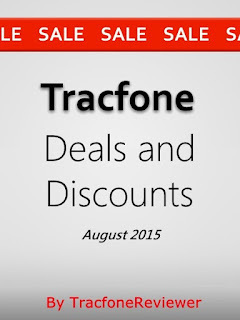 TracfoneReviewer works hard at finding ways to help you save money and we hope these discounts help you! Tracfone is a low cost cell phone and cell service provider throughout the USA with both smartphones and older phones available. You can find these phones from a wide variety of sources including in retail stores, in online retail stores, and on the Tracfone website. We spend a lot of time monitoring the phones and minutes available from Tracfone, and see a lot of the different sources for finding phones. We have collected some of the best deals we've seen and shared them with you below. If you've found a deal, let us know in the comments! Tracfone also now allows consumers to bring their own GSM or CDMA smartphones to use with Tracfone. This includes a wide variety of phones. You can visit our Tracfone BYOP Phone List to learn more about the options available. If you're new to Tracfone, you might find our Beginners Guide to Tracfone useful to cover some of your questions and explain how it all works. Let's get to the deals. These deals may only be available for a short time. The discounts below are listed in no particular order, and include a variety of different deals. Take a look and see if any might interest you. Also remember that you can buy Tracfone cell phones from other sources besides Tracfone, and still activate them on the Tracfone website. The LG Sunset is a GSM smartphone running Android 5.0. It has a quad core processor and about 4 GB usable internal memory. It is very similar to the LG Power, except that the Sunset uses 4G LTE service on on AT&T GSM networks. The LG Sunset is the first phone available form Tracfone that has 4G LTE, and only the second smartphone available for use with GSM networks. Visit our full Review of the LG Sunset for more information. Please note that, while this is the best price for this phone, we do expect it to drop in price, and it was even initially offered on HSN for $20 less. The Ultimate 2 is a 4.5" touchscreen smartphone running Android 4.4 that has been available for several months now and offers great performance and about 4 GB internal memory. Visit our Review of the LG Ultimate 2 for a more in depth list of specs and features, as well as comments from users. The Ultimate 2 is available at a great price bundled with 1200 minutes for just $100 on eBay . You basically pay for the minutes, and get the phone for free. You can also get the phone by itself for $70 on Amazon, which is also a good price. If you're just looking for a device with Triple Minutes for Life and want to find the cheapest option, the LG 305C and 306G might be a good option. They are available for just $5 as an Amazon add on item (which means you can add it to your order if your order is already above $35). This phone is outdated, and doesn't run a standard operating system, but it does have a touchscreen and works fine for calling and texting. Get the 200 minute card on Amazon for just $30 (plus $5 shipping) which is $5 less than the normal $40 price. These minutes can be added to any phone, but you can only use Tracfone Promo Codes if you're adding the minutes to a non-smartphone. The Moto E is a very campable smartphone featuring Android 4.4, a 4.3" touchscreen, and great battery life. Check out our page for the Moto E to learn more about the phone. Tracfone currently offers this device for $120 on their website, but we've found it for just $50 on Amazon. We hope you find a deal you like, and leave a comment if you find other deals! Also take a look at our recent post on 4G LTE GSM service for Tracfone BYOP. And join over 1200 followers on Facebook who get the latest updates, news and deals! We gather and share the latest promotional codes valid for this month here on our blog, TracfoneReviewer, for your convenience in one easy to read list. There's nothing to click, and be sure to check the comments from other users! Tracfone Promo Codes are Here! Tracfone is a prepaid wireless cell phone company that provides both low cost service, and cell phones to use on their prepaid network. Minutes, or Airtime, are added through the use of prepaid cards with a variety of minute amounts that can be found in many retail stores and online. When adding an airtime card you can also use a promotional code to get extra minutes for free. We work hard at monitoring and tracking this codes down to share with you for your convenience. Some Tracfone promo codes only work once per device, others only work for certain geographical locations, while still other codes can be used over and over again. 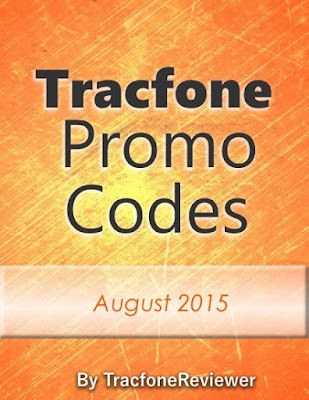 Please be aware that promotional codes cannot be used with Tracfone's Android smartphones or their BYOP devices. If you're interested in learning more about these smartphones, like the new LG Sunset which uses 4G LTE on AT&T cell towers, visit our Android Tracfone List or the Tracfone BYOP page on our blog. Tracfone continues to deliver better and better smartphones to use with their service, however, not everyone needs an Android device. If you want to see all our reviews, including a variety of older, non-smartphone devices, visit our Cell Phone Reviews page. Time for the promo codes! Each of the codes is for a certain airtime card amount, but can also be used with cards of greater value (for example, the code for a 60 minute card should work for the 120 minute or 200 minute card as well). These are the latest codes valid through August 2015. If you don't find what you're looking for here, please visit our much larger list of codes, which includes codes we think might be expired but work for some, on our Tracfone Promo Codes page. Take a moment and explore some of the other Tracfone related content we have on this blog, like our Beginners Guide to Tracfone or How to Set Up the Tracfone Family Value Plan. Also remember to Follow us on Facebook if you want to join 1200 others who get the latest updates, promotional codes, and news shared on their feed. Thanks for visiting, leave a comment with what codes worked for you (or didn't) and we hope you enjoy the free minutes!